HCM CITY (VNS) — The conservation and regeneration of mangrove forests in HCM City's coastal Can Gio District have been successfully accomplished since 2000, when the local administration took over the task, a district official told Viet Nam News on Saturday. More than 10 hectares of mangrove trees have been planted in the period, and the forest, recognised as a UNESCO biosphere reserve in 2000, measures more than 35,200 hectares now. 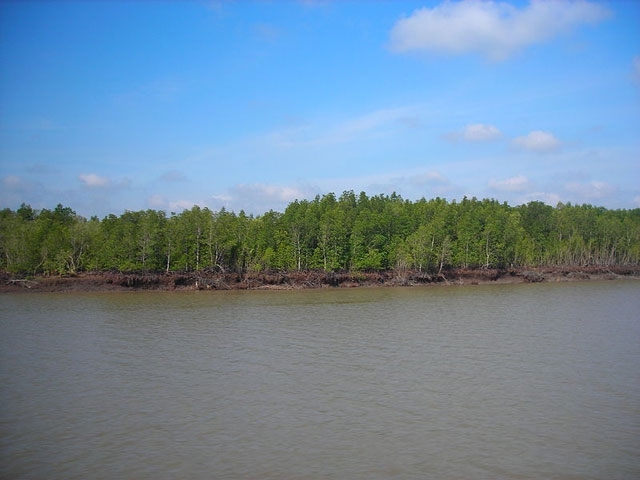 Around 40,000 hectares had been destroyed during the war, UNESCO says on its website, calling it a "luxury mangrove" for Viet Nam. "There are 52 true and associate managrove species, 200 animal species, hundred fish, crab, shrimp species and benthos. Over 40 bird species including shore birds and migratory species have been found in this biosphere reserve." The forest accounts for more than a half of the district's total area and is considered a "green lung" of the city. "It has reduced damage caused by storms, typhoons and sea level rise to the city," Le Dinh Long, deputy head of the district's centre for environmental education, communication and forest eco-tourism, said. It has also helped keep the city's climate moderate, he said. The district co-operates with local and foreign organisations and enterprises for the reforestation, he added. For instance, last Saturday the city-based Youth Social Work Centre and health products and cosmetics company ATZ Healthy Life planted 300 mangrove trees in the area. Tran Ba Cuong, the head of the former, said increasing forest cover is one way to mitigate the influence of climate change, which is affecting the district. Bui Trong Nghia, deputy secretary of the district's Youth Union, added conservation and reforestation is one of 19 development criteria for the district under a national programme to improve rural areas and, thus, living standards there.